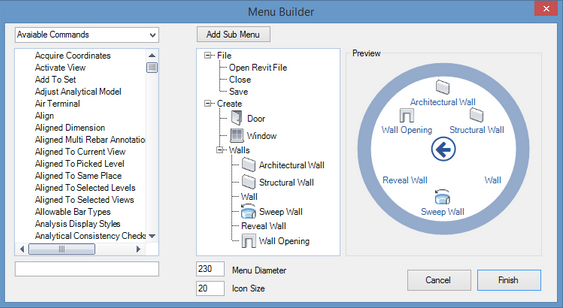 Quick menu is the first fully customizable menu system add-on for Autodesk Revit. Easily place your favourite and most used commands and have them quickly available right where your mouse pointer is located. Fully customizable commands (430 approx. available) and icon layout. 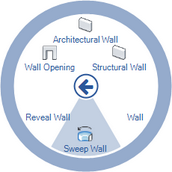 Wheel shows where your mouse is positioned for easy access to most commonly used commands. Can assign shortcut keys to it. There's more information available on the Kiwi Custom Solutions website.